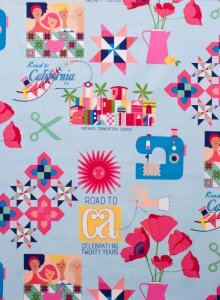 Have you seen the Road to California Bag Challenge? I just read about it here and have ordered my fabric. 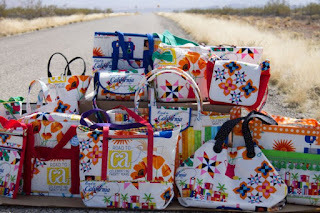 Don't all these bags look great. I bet they have a hard time picking a prize winner when all the entries are in. There are two choices of fabric; an ecru background or a blue background in the cotton fabric plus a choice of ecru background in a heavier twill fabric. I went with the ecru background because it only came in the heavy twill fabric. I know exactly what I want to do and have been wanting to make it for a very long time. The heavier twill fabric will work better for what I have in mind. I love the print of the fabric. As a quilter, who wouldn't? If you're interested in ordering the fabric or participating in the challenge you need to do it soon. There is only a limited amount of fabric printed and when they're out, they're out. How about a few more fun bags to tease you. 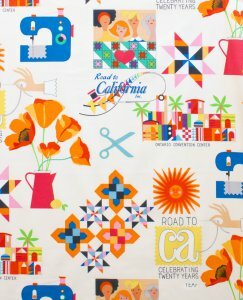 I'm also linking up with Lorna and Sew Fresh Quilts on her Let's Bee Social post. Go Bee social and see what others are doing. You just might be inspired! 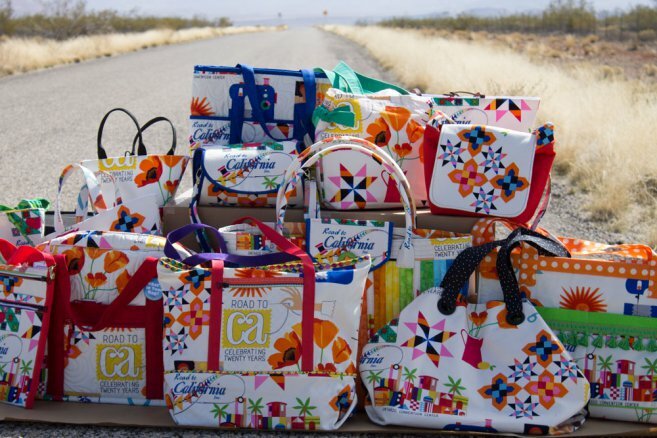 Those bags are all very pretty. And that fabric? Very sweet! Can't wait to see what you made, Doris!